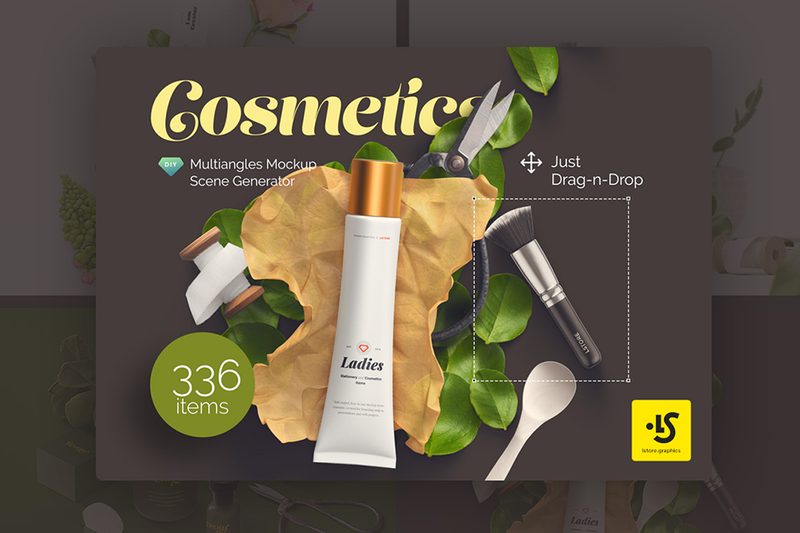 Very Beautiful Mockup Scene Generator in 3 angles and 336 high res items. Use different angles to create awesome presentations. Isolated. All the items are separate and have the same light, so that you can easily create your scenes. Color Masks. Most of items have color masks. You can change color of any material of any object. Separate Shadows. All the shadows are separate to easily adjust contrast for different backgrounds. Lots of adjustment layers. Use various effects to finalize your scenes. Help File. Everything is simple and clear. Software compatibility: Adobe Photoshop CS4 and newer. File size is approx 8.87GB unzipped, offered as a 10 part download. Hallo, I love this product. Is there an overview of the content available? Thanks for your comment and email on this and rest assured I can help! Sorry for any confusion with the files on this one- I have checked this on our side and we have the Top View Scene Creators but we are not seeing the Top View Files either! Our product team are contacting the designer about this now and I will email them over to you as soon as we have them. We will also be updating the files for everyone else who has purchased this item! Thank you so much for flagging this with us Joseph!